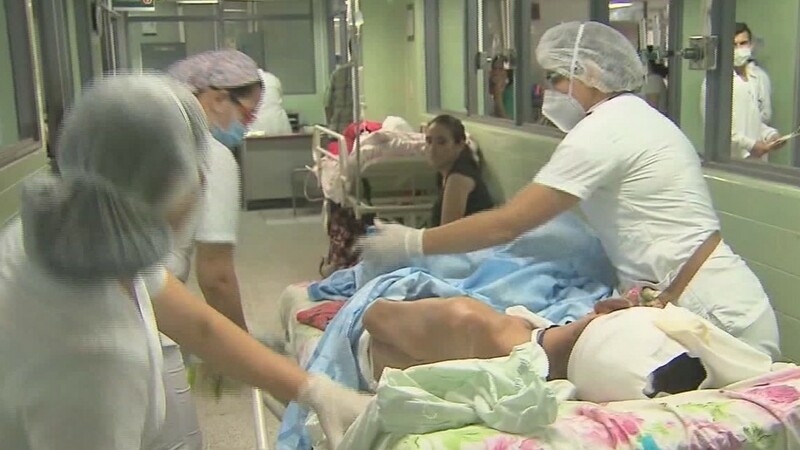 (CNN) The violence that broke out Wednesday during Venezuela’s Independence Day felt all too familiar. In fact, only last week I had seen for myself some of the chaos that has enveloped the country when I visited Caracas. I was there to meet with local partners who have been begging for help in a humanitarian crisis that is still too often being overlooked. And, as I traveled around the city, I saw suffering and violence — in plain view — unlike any I had seen in all my years of working in active war and disaster zones. I saw a young mother say goodbye to her 7-year-old daughter as a “fixer” (a paid smuggler) — one of the few jobs in Venezuela growing in demand — arranged to take the child into Colombia. The mother’s tears blurred the view of her daughter and the man walking through one of five border checkpoints into the neighboring country and to an unclear future. I was waiting with her older daughter, a scared 12-year-old who was crying inconsolably because her sister had just been given away to a stranger. But the mother faced a dilemma that many in the country are battling against. She cannot feed her family, which has been living off of one meal of corn flour a day, and believes that her youngest will have a higher chance of survival. She hopes someone on the other side will care for her child. This scenario is one of the millions of equally tragic scenes unfolding right now in Venezuela. People are dying from lack of basic needs or being killed for speaking out against their poor living conditions. There are no operational medical facilities. For many, there is no medicine, there are no doctors, with scarce clean water leaving disease to fill the void. The young people I spoke with told me that there are absolutely no jobs and no way to make money unless they engage in illegal activities. If children are not being sent off or given away to “fixers,” then they are forced into prostitution or drug trafficking to survive. From a rooftop, I watched a protest in the street that morphed into a combat zone. Four white trucks with “GNB” on the hood shot what looked like tear gas into the crowd. What followed was utter chaos. People rushed the trucks, throwing anything they could find at the vehicles. The civilians seemed to have expected to be gassed because some wore makeshift masks made from swim goggles attached to water bottles stuffed with fabric that would hopefully offer some protection. As the confrontation unfolded, I could see larger armored trucks approaching the area, and it was explained by my interpreter that they were mounted with water cannons that would be weaponized and used on the people. I was told it was time to leave — quickly. When preparing to go into Caracas, I knew it was extremely dangerous and violent. I was instructed never to have my phone out and warned that “People will kill you for it.” Our movements were coordinated so that we would avoid being noticed because of the high number of kidnapping for ransoms of foreigners. I’m a veteran of active war zones and volatile environments, but I found myself in the most violent city in the world. 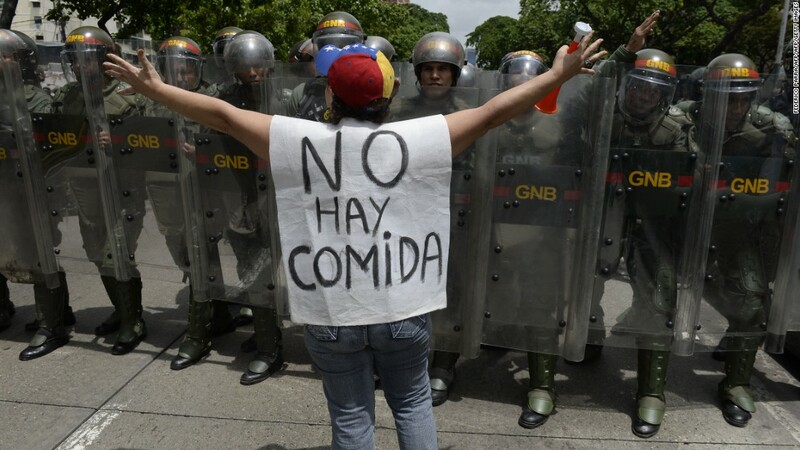 Even with mass starvation made evident by everyone looking gaunt and wasting away — resorting to eating garbage — the government is not allowing aid to its people and is denying there is a crisis. 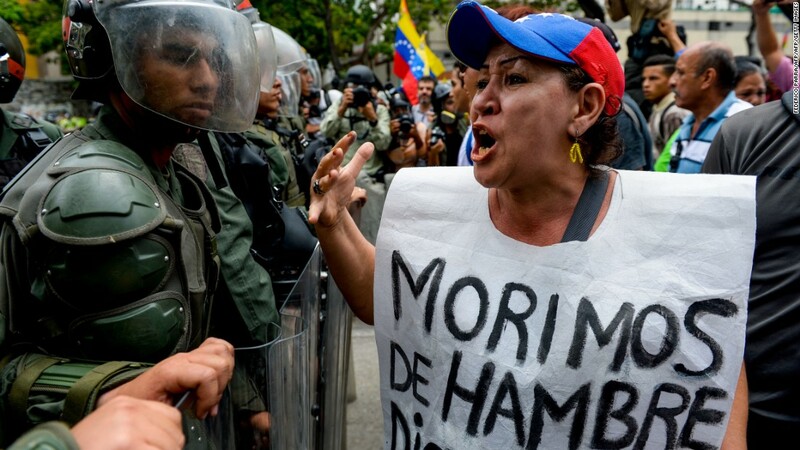 NGOs that are trying to help have been accused of providing supplies, medicine, and food to people of the opposition — protesters whom President Nicolas Maduro has labeled as terrorists. Mere survival is challenging and with more and more people dying, the people are becoming desperate for change. No one born in the past decade and a half remembers anything but dictatorship. Most lack a basic education, and when I ask them about their plans for the future, they tell me that they have no hope for a future if they stay in their country. The lack of meaningful choices combined with witnessing their families and communities suffering, dying or being oppressed and imprisoned make the youth extremely vulnerable to the influence of organized crime and violent extremism. These criminal groups offer structure and purpose amidst chaos and anarchy and provide these young people something to fight for. Gangs are using their networks to traffic essential food, medicine and water, which in turn only strengthens the rebel groups that control these routes — the Colombian peace treaty with FARC has left a power and security vacuum, and various groups are trying to fill that void. It’s a worsening crisis that will have long-term and far-reaching consequences. On my last day, I was relieved to be getting out of the country. But before I could get into the car that would take me to the “freedom bird,” the one thing that we prepared to avoid, happened. I was stopped by a group of heavily armed men and accused of being a journalist. I prepared myself for the worst. Journalists have been targeted, killed, robbed, beaten and detained at times just for being present. Foreign reporters have been denied entry into the country as the government wants to prevent the world from seeing what’s happening. 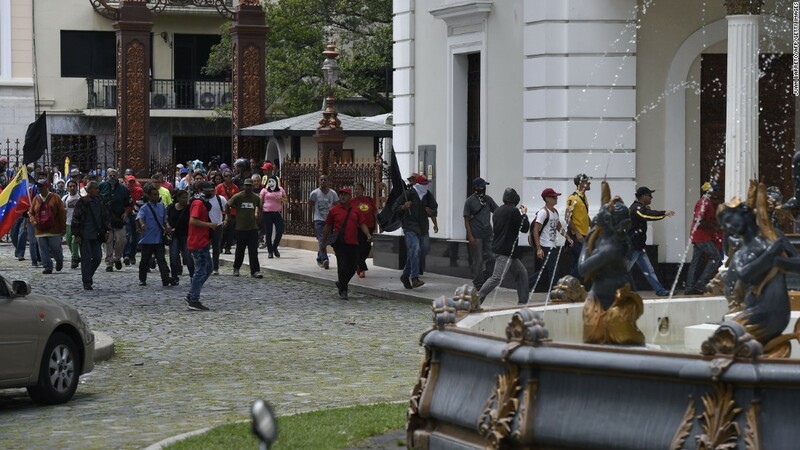 The men were aggressive and rough and clearly “colectivos” who are pro-Maduro militants. They yelled at me demanding that I confess that I was a journalist and that I hand over any cameras or phones. After a torrent of pleading and convincing from my interpreter, they seized my phone and computer and took my flack vest. This was not the first time I have been robbed or assaulted, but I was afraid. In the end, I got to leave. Venezuelans don’t have that option.